Sorry Mr. Sun: Lennon offends the sun, which causes a blackout in Townopolis. Both Gluko and Lennon must work on their apologies to save the town and soothe their consciences. 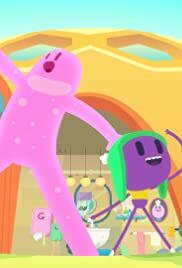 What's the Trouble Bubble: Gluko and Lennon must get Little Bubble back home to Bubble Land, while making it back in time with Kitty Num Nums to stop a group of adorable, yet naughty kittens from messing up Grandma's house.